Savi Technology announced the rollout of a device that can link sky- and land-based wireless systems to monitor the whereabouts and condition of both cargo containers and their contents, whether in range of land-based tracking systems or in more remote locations such as deserts or oceans. 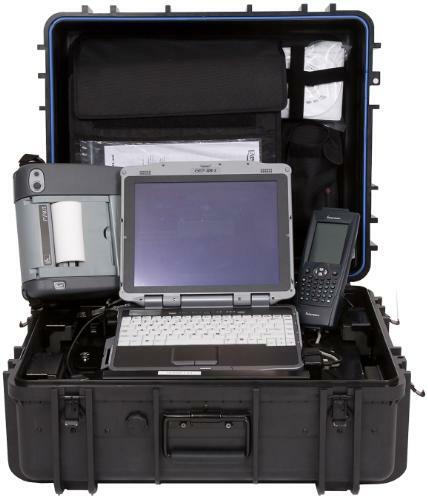 The new device – the Portable In-Transit Tracking Unit, or PITU – is about the size of a digital video recorder and connects communications among RFID devices, GPS location and SatCom systems, global cellular networks and sensors that detect environmental and security changes. Three-way communications enables PITU to capture location data from GPS and RFID-tagged supplies inside the container and transmit that information to either ground-based RFID or telecommunications networks or to iridium satellite short burst data systems. The first PITU systems have been put to use by NATO defense forces in support of the International Security Assistance Force. It also supports NATO nation’s coalition shipments where there is limited cellular communications, such as through Pakistan, Afghanistan or for organizations supporting United Nations’ goodwill or disaster relief missions.